In 1739 Jonathan Edwards preached a series of thirty sermons in his church at Northampton, Massachusetts—sermons based on one scriptural passage, Isaiah 51:8. 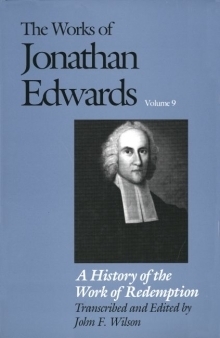 Apparently Edwards later intended to develop this discourse into a major treatise construing God’s redemption of the world as the most basic doctrine of theology. Unfortunately, he died before he could undertake this project. The sermon series, however, was later transcribed and then published in Edinburgh in 1774. There were numerous editions in Britain and the United States, and it was enormously influential in popular evangelical circles of the nineteenth century. This edition presents a modern, authoritative text that firmly establishes the place of Work of Redemption in the literary and historical tradition of puritan New England. John F. Wilson is Agate Brown and George L. Collord Professor of Religion at Princeton University.